I’m a Guest on the Just Japan Podcast! I mentioned this earlier this week, but now that it’s officially available, you can listen to it! I was asked to be a guest on Kevin O’Shea’s podcast Just Japan Podcast to talk about our move from Japan to Canada. The title of this episode is Leaving Japan. It’s the 95th episode. 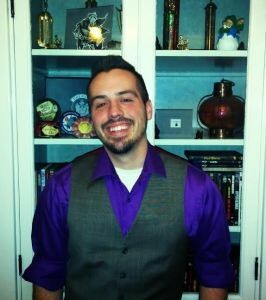 I encourage you to go on over to Kevin’s website and listen to the podcast. It’s about an hour long, so give yourself some time to listen. If you’re wondering how we did it, it was pretty simple. We talked on Skype, and he recorded our conversation. That’s about it. I’d like to thank Kevin for inviting me. I’m looking forward to doing it again. He suggested that we do another podcast a few months after we’ve moved to Canada to see how we’re doing. If you’ve listened to it, let me know what you thought in the comments below. Do yourself a favour and check this podcast out. It’s called Just Japan Podcast, and it’s hosted by Kevin O’Shea, aka BusanKevin, aka jlandkev, a fellow Canadian and a resident of Kobe. It’s a podcast all about Japan, and it’s something I really should listen to. I was just interviewed by Kevin for the podcast, episode 96 to be precise. I spent an hour on Skype speaking with him, and I must say that it was a very enjoyable talk. Kevin is also planning on returning to Canada with his family in the future, so we’re in the same boat. I’ll let you know when the podcast is up and available to listen to. Message to Kevin: If I’m in your area after you’ve returned to Canada, I’d love to meet up with you. We have plans to travel all around Canada, so I’m sure we’ll be around there. Message to everyone: Hey, I’m in a podcast! Look forward to it. It’s been a while since the last 10 Questions, and let’s get back into it with the author of a book I really enjoyed and reviewed earlier this year, In Her Name: First Contact by Michael R. Hicks. Of course, I interviewed him, not the book. So, let’s let him introduce himself. Born in 1963, Michael Hicks grew up in the age of the Apollo program and spent his youth glued to the television watching the original Star Trek series and other science fiction movies, which continue to be a source of entertainment and inspiration. 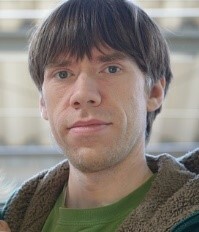 Having spent the majority of his life as a voracious reader, he has been heavily influenced by writers ranging from Robert Heinlein to Jerry Pournelle and Larry Niven, and David Weber to S.M. Stirling. I guess it would have to be green. Don’t ask me why. 2. What’s your favourite food? Do you like Marmite? Indian is probably my favorite, although I’m also partial to Mexican. I have no idea what Marmite is, but it sounds more like a furry animal than something to eat! 3. Which country would you most like to visit? That’s a tough one! We have in mind to get ourselves an expedition vehicle in the not too distant future to poke around in as many countries as we can. But if I had to pick only one…I’d say it would most likely be India. 4. What genres do you like to read? The books I most typically read are techno-thrillers, science fiction, and fantasy (a la George R.R. Martin). Unfortunately, I don’t read nearly as much as I should, and I’m currently going back through the Game of Thrones series right now. 5. If you were going to write a book outside your genre(s), which genre would you choose? Wow. That’s a hard question! Probably horror. 6. Describe your writing environment, including room, desk, sounds, etc. My writing environment is variable, because it’s really just about anywhere that I happen to be with my laptop. Sometimes I’m at the kitchen table, other times I’m in a chair in the bedroom or at the table on our pool deck. If we’re traveling, I’m usually camped out at the dining table in the RV or outside on the picnic table. And sometimes I’ll hike down to the mall and hang out in the food court. The only thing that’s fairly constant (at least when we’re in the house or RV) is that there’s at least one feline editor in attendance, making sure I’m doing it right. 7. If you could have dinner with any character from your books, who would it be? I’d probably have dinner with Tesh-Dar, a warrior priestess who shows up quite a bit in my In Her Name series, because she’s just a total badass. I likely wouldn’t survive the meal, but it would be interesting for as long as it lasted! 8. Do you draw maps when planning your books? Usually not, but I’ll confess to some geographic doodling. However, I will say that for the Harvest trilogy, which is set in the current day, Google Earth proved to be an absolutely awesome tool that was totally indispensable in writing the books. 9. Do you ever read self-published books? Yes, I read self-published works. I don’t really draw a distinction anymore: if I like a book’s blurb and it has some decent reviews I’ll at least be willing to check out the sample. If it draws me in, I’ll buy it. 10. I’m interested in fantasy, science fiction, history, and classics. Which author’s books would you recommend to me? Yikes! That could go on and on. But one set of terribly underrated books that I highly recommend is Scott G. Gier’s Genellan series. Those are among my favorites, and the battered paperbacks survived our final culling of our print books, as all we read now are ebooks. The Mote In God’s Eye by Larry Niven and Jerry Pournelle is another one of my all-time faves (another one that survived the print purge). I didn’t like the other books of the same theme that came later, but that one was smashing. Those are just a couple examples, but I’m going to cut it off there or I’ll never shut up. Thanks for your answers, Michael. It was great to have you oblige with this interview. And just so you know, Marmite is a yeast extract spread from England, and the taste is pretty salty. It’s an acquired taste, and you either love it or hate it. I personally love it on toast with some butter. If you have any comments for Michael, you can post a comment here, or go to his website or talk to him on Twitter or Facebook. We made it to the end! This is the last day of the blog tour. The original posts of our final interview can be found here and here. I am 26 years old and live in Maine with my lovely wife, Layla, our two dogs and two cats. I currently work as the director of security at a local college. Working in a field like security, despite the fact that often I was a manager and in charge of sensitive situations, I found myself with plenty of time to dream up stories. Working primarily nights exacerbated this, since I was often left in solidarity to my own devices. This alone time allowed for me to create other lives, worlds, and times. Often, this led to fervid writings penned as I arrived home after long nights, my day supposedly ending, yet merely at its start. I received an Associates degree in Criminal Justice and a Bachelor’s degree in Criminology from the University of Southern Maine. Although I do not have a degree in writing, or its associated fields, I have always had a passion for it. I had two short stories published by Ohio State University when he was in elementary school, and a poem published when he was in high school. I have always had two passions in my life, criminal justice and writing, and after spending nearly 5 years working in security, I have decided it is time to give my other passion a chance. When I am not writing, or dreaming up my next story, I can be found reading and studying about watches, playing video games or spending time with my family. What is the first piece you remember writing (from childhood or young adulthood)? As a child, I did not live in the best community. Often I found myself sitting alone in my room and reading, about far away places. I began to write at a young age—albeit not very good pieces, but I tried my best—and I have to say that the mere thought of my earliest work still makes me blush. The first thing that I ever wrote and finished was a short story entitled “Never Been Kissed”. Sadly, this was a short story about my very first girlfriend and date. I still have it to this day and my family loves to pull it out of hiding and read it to me just to make me blush. It was quite cheeky, I thought I was the next romantic novel superstar, yet I still think of it to this day. What is your favorite aspect of being a writer? Your least favorite? My favorite part of being a writer would have to be the ability to create something out of the most humble of things, or perhaps nothing at all. Whenever I find myself pondering hardships, boredom, possibilities or anything that may hit me, I throw a small story into the mixture and see what develops. I would have to say that my least favorite thing about being a writer is this little attention deficit problem that I have. I often find myself thinking over several possible story ideas at once and get overwhelmed, only to find myself nearly giving up on all of them. I generally am able to press forward, it is just frustrating at times. Do you believe in writer’s block? If so, what is your best tip for beating it? If not, why not? Absolutely I believe in writer’s block. Writing, like any art form, is based out of the author’s creativity and inspiration. This is a very fickle thing and, like many things in life, writer’s can find themselves uninspired, not in the mood, or maybe even unable to push through a certain point in their piece, for whatever reason. My best tip for beating this is to think back to what you were experiencing when you first began working the piece. Focus on what sensations you were feeling and emerge yourself into that mindset. If it was a song, listen to the song again. If you were in a special place when the thought first roared through your mind, go back and shoot for it again. Finding ourself in the situation which first spawned your works will relaunch the story for you. What is your current writing project? What is the most challenging aspect of your current writing project? I am currently working on the second instillation of my novel, The Curious Tale of Gabrielle. The most challenging aspect of this piece is the base premise of it depends highly on historical accuracy. So, coupled with heavy writing, I know find myself doing more research than I did when I was in college. What supports you in your writing? Currently, there are two things that come to mind when thinking of what supports my writing. First thing would have to be music. I often listen to specific genres when writing that help me maintain focus in what I am currently working on. I use the music to channel the emotions and mindset needed to further my writing. The second is my lovely wife, Layla. She does what I have jokingly referred to as “mothering” me to make sure that I accomplish the goals that I set for myself. As I said, I do have a nasty little attention deficit problem, and she helps me keep that at bay when needed. For that, she is my greatest support. Where can our readers find you and your books online? One book that I would like to promote is The Curious Tale of Gabrielle, scheduled to come out at the beginning of March. 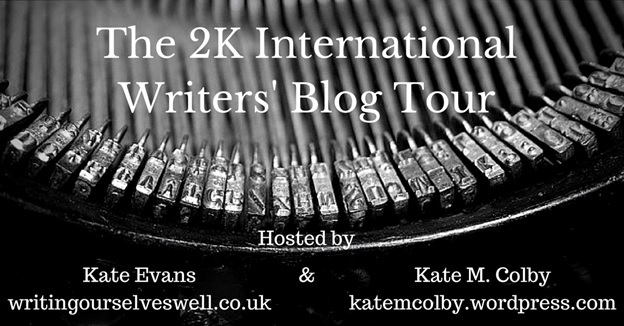 It’s the second last interview in the blog tour. You can see the original post here and here. Hello, I am Cheryle Baker. I use C.Lightwalker for my virtual escapades thus the name of my Blog “Lightwalkers Blog”. I may not qualify for this tour. I am not a published writing, in fact I recently enrolled in WordPress Blogging U 101, as a way to discipline myself to write on a regular basis, be accountable to doing the writing and to have some sort of structure. I write sporadically, mostly for myself. My main focus has been on poetry. I attended courses Intermediate, Advanced and Form Poetry taught by Micheline Maylor at Alexandra’s Writers Society Centre in Calgary a number of years ago. When my great grandfather passed way, I received the phone call. I about 15 at the time. My Mother and Father were out, probably at a Friday night dinner. My two sisters and I were home alone. I answered the phone and someone, I don’t remember who, an Aunt or Uncle, told me that my Grandfather had passed. This was my first experience with death. Once when I was too young to understand, I found a dead puppy in the field and I had visited one of the Death Camps in Germany. While I waited for my parents to come home I wrote a poem. This is the first piece of writing I remember, writing with a purpose, other than a school assignment. I asked my mother to place the poem in the coffin with him, under his pillow. I believe my intention was to make sure he has a physical representation of my love with him where ever he went. At the time I had faith in some sort of heaven. I enjoy the clarity that comes with writing. The sense of accomplishment and completion. I enjoy the feel and sound of the words. Knowing what I have written down paints the picture I am expressing. My least favourite aspect is struggling to capture the absolutely right word as it slips quickly by my inner eye. Sometimes I can see it but not quite catch it. Then I have to sit, try to recreate the thought process that led to the appearance of that particular. Not being successful with that approach I then search the dictionary, thesaurus, rhyming dictionary or whatever resource would be helpful in providing me the word that perfectly fits my image of the sentence or picture I am painting on the page. Yes, leaving the piece for a while. Placing my focus on something else, even meditation. Sometimes it is a matter of something not being right in the piece I have been working on. When I figure out what that is things begin to flow much easier. Other times I’m not clear as to where I am going. Again, once I figure it out I can recommence the process. Other times, I just have to struggle and writhe while I figure it out. There is no one way, for me. I am currently working my way through Blogging U 201. I completed Blogging U 101 and thoroughly enjoyed the challenge. My poetry is always waiting around the door or inside the hamper. When it appears I take note and add to the collection. I have created a feature – The Meditation Cushion – which is my way of improving myself as a meditation instructor. The most difficult challenge is avoiding the procrastination and actually doing it. Fear sometimes stands in the way of me and the page. The satisfaction of knowing I have said what I needed to. I get this sense that there is no more to put down on the page. I let it sit. When I come back, I rearrange the paragraphs, edit a few things, it feels done. Whew! It’s out and I’m happy with it. Tibetan Book of the Dead – A translation with commentary by Francesca Fremantle and Chogyam Trungpa. Several books, including tapes on learning to speak Thai. It’s the third last day of the blog tour, and look at that. It’s me. The original post can be found here and here. Born in a very small town in Alberta, Canada, I went through an atypical childhood as a nerd, all the way up until university. I have been living in Fujisawa, Japan, which is near Tokyo, for nearly ten years now. I’m an English teacher, but writing is my passion. I’m married and have one daughter. We will be returning to Canada next year, where I will hopefully find a lot more time to write, and a lot more privacy. Although I teach English and write, I have a university degree in physics and astronomy from the University of Victoria in Victoria, British Columbia. This helped fuel my obsession with everything science related, including science-fiction. When I’m not writing (which is most of the time), I’m playing with my daughter, going out hiking and walking, and blogging. Through my walking, I also like doing photography, and have gone on some very long walks of up to 35 km or 250 pictures. Back in high school, which was in the early 1990s, my English class did some creative writing. That’s when I wrote my first short story. I wrote about the space shuttle getting hit by some small asteroids, and the astronauts having to make an emergency landing. My first foray into science-fiction writing. I love creating new worlds. I can make something totally unique and build a society, people, and stories around it. It’s my world, and it only fully exists within my mind. I don’t like the moments when I reread my writing and find that it sounds stiff or a bit corny. I really have to watch both my dialogue and narration. Editing is a friend. It’s hard to say if I’ve ever had writer’s block, as I have other things that prevent me from writing. Usually excuses, such as my daughter, lack of privacy, being cold in winter, and YouTube. To me, writer’s block is a form of procrastination. If I have trouble thinking about what to write, I go off and do something else. But to beat this, I find inspiration in strange places. Whenever I go for a walk or take a shower, my mind wanders into my world, and I can think of entire scenes very clearly. After that, I either write down my ideas so I won’t forget, or go straight to my computer and write. For other people, I would say just start writing. Anything. It’ll get your mind into it. It doesn’t have to be your work in progress, just write. I’m currently writing a web serial called Journey to Ariadne. It’s a prequel to my science-fiction series, which is mostly planned out, but not written yet. This web serial is a window into the preparations of an interstellar colonization attempt, focusing on the characters rather than the action. I will eventually incorporate these brief stories into a novel. What’s most difficult is not so much the writing itself, but finding the time to do it. It’s so episodic in nature that I also worry about flow between the parts. However, massive rewriting should solve that problem in the future. Determination, basically. But since I write science fiction, particularly about space and planets, I can draw on my education to give me an accurate depiction of the science involved. I’m reading two books at the same time. When I have time to sit down and read, I read a paperback. That is Deadhouse Gates by Steven Erikson. It’s a great, gritty fantasy based in the extensive world of Malazan. The other is an eBook, and I read those when I can’t sit down. So, when I’m on the go, I usually have it open on my phone. I’m reading In Her Name: First Contact by Michael R. Hicks. It’s a military science fiction series which has strong characterisation and plenty of action. You can find me easiest where I’m most active, on my blog, I Read Encyclopedias For Fun (https://ireadencyclopedias.wordpress.com). 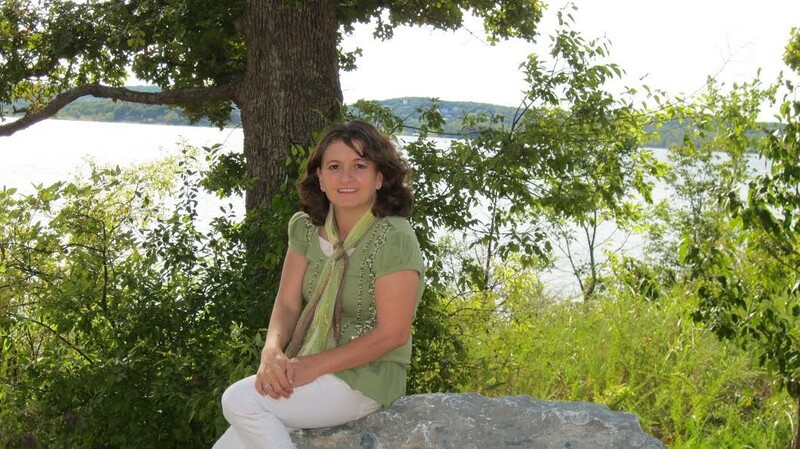 You can find my writing, including Journey to Ariadne on my official site (http://jaydeearcher.wordpress.com). It’s now the final week, and only four interviews to go. Here’s today’s interview. The original posts can be found here and here. I live in the Midwest with my husband, cat and dog. I have taught preschool in the public school system for ten years. I have written and published a book of poetry and a non-fiction book on faith. If I am not reading or writing I am probably cooking or walking. My blog is called the tinypoet because I am tiny- 4’6 to be exact. I have Turner Syndrome, which impacts my daily life and thus my writing. 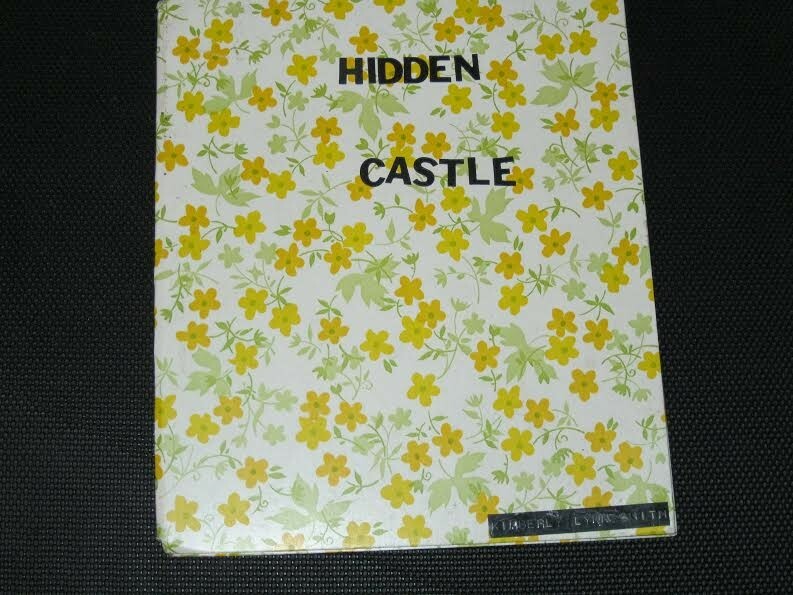 I wrote a book titled The Hidden Castle when I was nine and still have it. I remember choosing the cover. It was fun to illustrate, too. 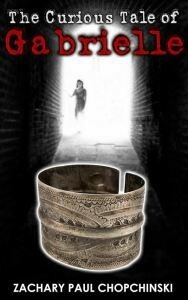 It is a mystery, action story that reflected my love of Nancy Drew back then! I got an A+ on it, still remember that. It meant so much to me. My first self-published book is a poetry collection that exemplifies my heart toward worship and seeking spiritual connection. My favorite aspect of writing is expressing my deepest emotions. Using my creativity. My least favorite aspect is marketing, promotion. Yes, I do believe it occurs. I think so much of our mental energy is destructive unless we channel it constructively. To beat it I change my locale, surroundings, give myself a break. Staying inspired and knowing why you are doing this is important. I am writing my first fiction story right now. The challenges for me have been plot development and not editing too much as I go along. Other writers and the groups I belong to on social media. I am reading along with my husband as he studies his online travel course!